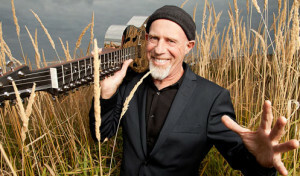 Harry Manx is best described as where East meets West musically. “Mysticsippi”. Harry plays an instrument called the Mohan Veena the invention of Vishwa Mohan Bhatt a very unique stringed instrument with 20 strings. Charlie sits down with Harry and talks about the incredible world of busking and being a street musician. For Charlie and Harry to sit down is kind of incredible. They both play and have mastered instruments that they basically pioneered. A very unique interaction between two incredibly gifted musicians. Harry spent 12 years in India learning how to play this instrument and unlearning what he had about a slide instrument up until that point. Harry explains in detail how he came to learn the instrument and how much it changed everything about his life. A very heavy set of circumstances. An incredible tail. He would go to Japan from time to time to play on the street so he could come back to India and have some money. Pretty wild in and of itself to be a Canadian surfing between those two intensely different cultures. One of the types of conversations that makes this show so worth doing. We really hope you enjoy it!.